Enjoy an unforgettable drive it yourself trip through the dune & beach area in the region of South-Holland. 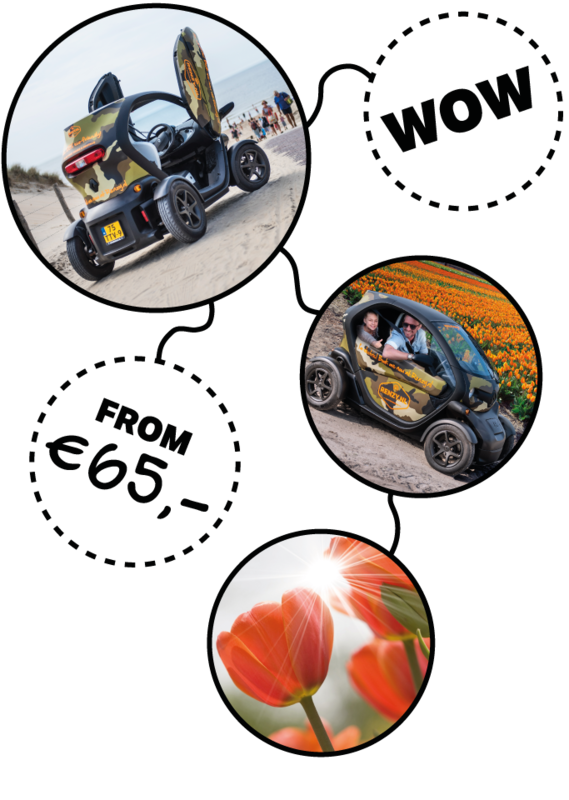 In a 100% electric 2-person Renault Twizy with GPS navigation, you will ride through free nature, sand dunes and picturesque coastal villages at your own pace and off the beaten track. Enjoy an amazing tour in the open air! € 65,- for a 120 minutes GPS tour in 1 Renault Twizy, suitable for 2 people. The Dune & Beach GPS tour is available from 19 May to 31 October. We are open 7 days a week and for this GPS tour we offer 3 departure times per day.